Mel creates some of the funnest Halloween decorations with tulle. Last year she created tulle ghosts to haunt her entry and this year she has turned some black tulle into a swarm of bats. Bat branches to be exact. I think I might have to find some sticks to paint orange!! 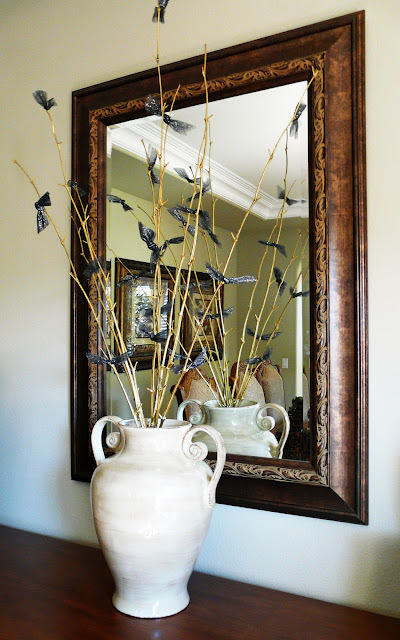 You can check out how to make these batty branches over at Bliss Bloom Blog.